This latest work from Pastor Oghenethoja Umuteme deals with the question of man’s duty to God on Earth. All those who have received the Holy Spirit may learn from it. If you read with an open heart, you will come to understand what the Kingdom of God means to the Lord and how we must all play our part as His followers. This book calls for true believers to reconsider the way they are expressing their faith in the world so that the human race may be safe in the hands of those who truly believe, not those who – perhaps unwittingly – are still helping Satan. 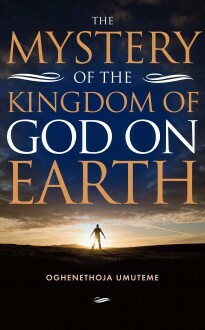 It explains how we must all ensure we truly belong to the Kingdom of God on Earth, and how it can be achieved.